Dr. Ivan Diaz, known as “The Teacher” has been in practice for over 14 years. He first knew he wanted to be a doctor at the age of only six years when he fell in love with an anatomy book. There was no question since then as to what he wanted to dedicate his life to. Dr. Diaz specializes in preventative medicine and believes knowing how to defend your health is just as critical as promoting it. His passion is in educating others. He held the position of the Assistant Clinical Professor at the University of Illinois - College of Medicine in Rockford. Whether it is giving lectures, guiding others in practice, or sitting with patients, he lives by "the patient who knows the most, live the longest." Knowledge is what helps the patients make the best decisions when they are out of the office. Making sure they understand everything is critical to the prospective of their health. It is not a surprise that most of his patients are adopted from word of mouth and have no problem vouching for him to the people they revere. His thoroughness and kind demeanor guide you to a better understanding of your health. On this team, we also have Joshua Wozniak, ARNP, a full-fledged dance dad of two. Josh periodically volunteers at food pantries and other charitable locations with the little bit of spare time he does have. He is deeply religious and tries to serve others in need of his faith calls him to. He has been in medicine for 17 years and believes that his own experience in the hospital as a teenager is what inspired him to pursue this path of healing others. It was a hospital patient himself for eight days which gave him the desire to treat others with the assistance that he once needed. Joshua still works monthly at the local ER; his colleagues will affirm that he is up to date with everything and is constantly seeking knowledge wherever it is available. His well-rounded skill has him on high demand, and acute conditions are his specialty. 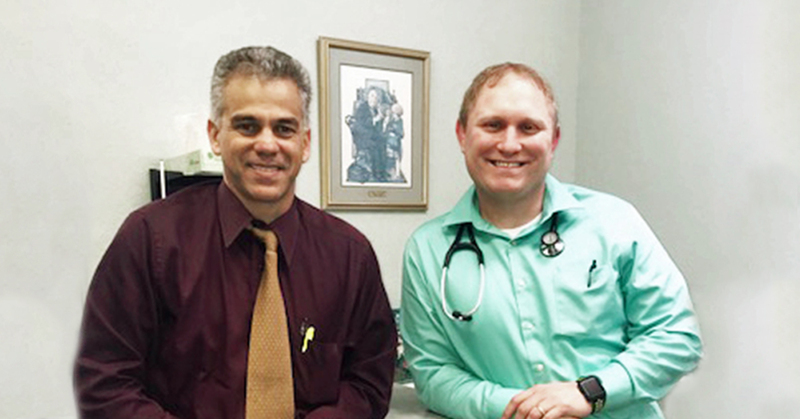 Joshua Wozniak and Dr. Ivan Diaz will both tell you the reason they work so good together is because they both follow the same set of principles. When your morals are in line with each other, the difference you can make in helping people is endless.